She studied culture studies and Jewish studies at the University of Wrocław. She won a scholarship at Paideia – The Institute for Jewish Studies in Stockholm, Sweden and in Scuola Holden in Turin, Italy where she followed screewriting and performing arts. For a few years she has been involved in Jewish Community in Wrocław as multicultural educator and translator. Recent years she spent on the board of the Bente Kahan Foundation, running the Center of Jewish Culture and Education in Wrocław. She’s currently living in Berlin, where she works with a documentary director Ilona Ziok on an exhibition dedicated to life and work of Fritz Bauer. 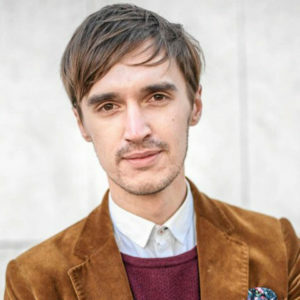 Dawid Junke (born 1989) is an Assistant Professor at the University of Wrocław’s Institute of Cultural Studies. A scholar of popular culture, he is fascinated with TV shows, films and narratives. His research interests revolve around the cultural aspects of television show’s production and reception. Film producer, director of the Film Festival SPEKTRUM in Świdnica and founder of the Wrocław Film Foundation. A graduate of the French La Femis and the British NFTS (in the field of film production). 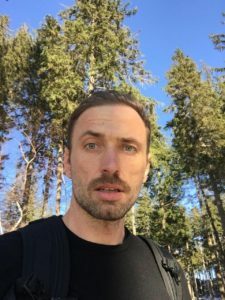 In recent years, he has produced „Forest, 4 am”; and three times awarded at the last year’s Festival in Gdynia „Pardon” by Jan Jakub Kolski; the loud „Tower. A bright day” directed by Jagoda Szelc and a short film by Katarzyna Gondek „Deer Boy”, festival runner all around the worldd, incl. Sundance. He gained experience in numerous international co-productions. Polish actress. She has appeared in 22 films and television shows since 1988. She starred in Johnnie Waterman, which was screened in the Un Certain Regard section at the 1994 Cannes Film Festival. She works both in theatre and film and for years was a muse to the director Jan Jakub Kolski. She is also known for her work with Andrzej Wajda, Roman Załuski and Waldemar Krzystek. German philologist to the bone. Sometimes she forces her students to listen to German radio plays and songs. She is a presenter of Radio Wrocław Kultura. Her first words were: John, Paul, George and Ringo. Her inspiration is her dad and his collection of vinyl records. Hobby: digging in the deepest corners of pop culture. Graduate of film directing at the Prague FAMU and Japanese studies at the University of Warsaw. Author of several awarded documentaries, last one is the feature-length “Actress” about Elżbieta Czyżewska, and was co-directed with Maria Konwicka. For her feature debut “Hel” (2009), she received the best screenplay award at the Młodzi i Film festival in Koszalin. Her second feature – “These Daughters of Mine” (2015) – received the Audience Award, the Journalists’ Award and the Studio and Local Cinemas Award at the 40th Gdynia Film Festival, as well as eight more awards, including the Eagle of the Audience Award for the best screenplay. Film and theatre director, scriptwriter. 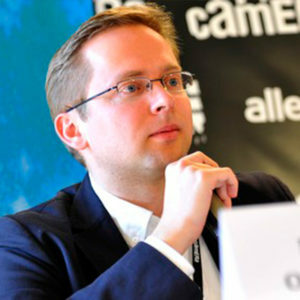 Vice President of the Polish Filmmakers Association, member of the Polish Film Academy and the European Film Academy. He studied law at the Jagiellonian University in Kraków and directing at the Łódz Film School. His famous Warsaw (2003) was a great discovery of the Gdynia Film Festival, where it was honored with the Grand Prix Golden Lions for the best film. Among others, it was followed by the films: Mr. Kuka’s Advice (2007) and Strange Heaven (2015), which won at the Off Camera Festival in Kraków. Musician, composer, music and film producer, member of the Polish Film Academy. 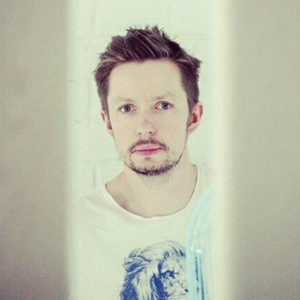 He has worked closely with director Andrzej Jakimowski, whose films he co-produces and writes music for them. Titles such as Squint your Eyes (2003), Tricks (2007) and Imagine (2012) have been awarded many times in Poland and abroad. 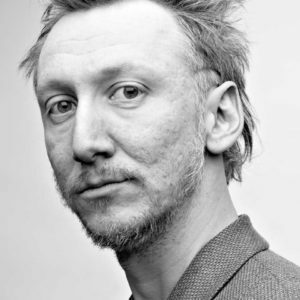 He also directs – his short The Play-Off (2016), produced by Munk Studio, and was awarded at this year’s Transatlantyk Festival in Łódź. Born in the decade that starts with a nine. 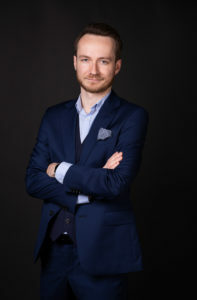 A PhD student at the Department of Philology at the University of Wrocław, who teaches at the University of Social Sciences and Humanities and the University of Wrocław. 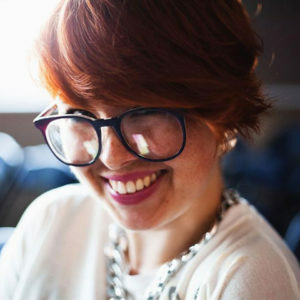 She researches intercultural advertising and creativity in ads. She also works in advertising as a copywriter. She describes herself as a pop culture junkie- she doesn’t condemn anything, it can all come in handy some day. She likes when there is too much, when it’s ugly but for a reason. And dogs, she really likes dogs. film editor. 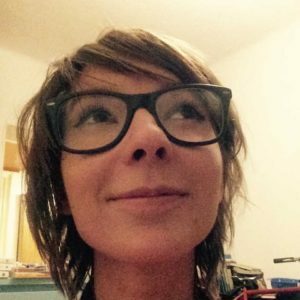 Studied cultural studies with a focus on film at Łodź University and editing at the National Filmschool in Łodź. A member of the Polish Film Editors Society, Polish Film Academy and European Film Academy. Films edited by her were awarded at several prestigious Polish and international film festivals. Two of them: „All That I Love” directed by Jacek Borcuch and „Difret” by Zeresenay Berhane Mehari were Polish and Ethiopian Oscar candidates. Born in Warsaw but went to Czechoslovakia to study film directing at FAMU in Prague. She began her film career working in Poland with Krzysztof Zanussi as assistant director, and Andrzej Wajda as her mentor. 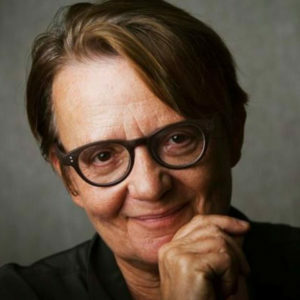 She wrote several scripts with Wajda before directing her own films, which were soon winning awards at festivals – [ Cannes (1980), Gdansk, Berlin (1981), Montreal (1985,1987), Golden Globe Award (1991)] – and gaining notoriety as part of the Polish New Wave. Holland is best known in the United States for her Oscar-Nominated „Angry Harvest”, „Europa, Europa”, and Warner Bros. fims: „Olivier, Olivier” and the „The Secret Garden”. 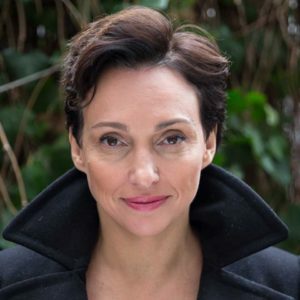 In 1994 she has directed „Red Wind” in the United States, a thriller for television produced by Sydney Pollack, which was aired on Arte in the series Fallen Angels. A year later she made „Total Eclipse”. In 1996 she has directed „Washington Square” in the United States, starring Jennifer Jason Leigh and Albert Finney. MISH University of Warsaw and drama at the Theatre Academy in Cracow student. The winner of Krzysztof Mętrak Award (Grand Prix 2010) for young film critics. 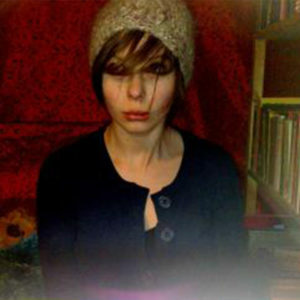 Her esseys were published, among others, in „Dwutygodnik.com”, „Didaskalia” „Res Publica Nowa” and „Kino”. 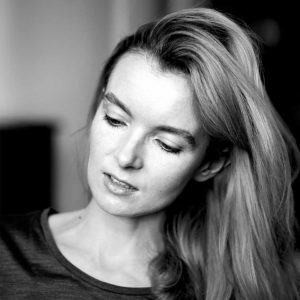 As a dramaturg worked with Weronika Szczawińska („How to Be Loved”, „Provintional Artists”) and Oliver Frljić („Undivine Comedy. Remains”). one of the most distinctive Polish camerawomen. 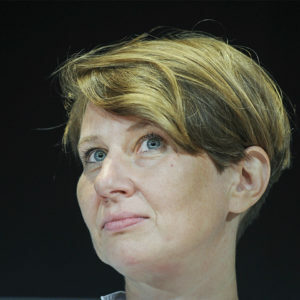 Besides feature films, she has also done productions for television theatre – Bankruptcy of Little Jack by Agnieszka Glińska in 2000 and Anaerobes by Ingmar Villqist directed by Łukasz Barczyk. Born in Tarnowskie Góry in Silesia, Poland. Currently working on her dissertation on the remix phenomenon in popular culture at Uniwersytet Jagielloński in Kraków. 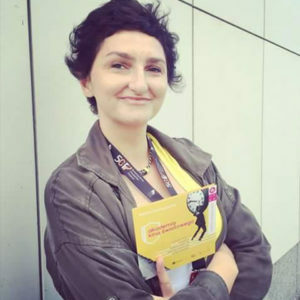 Translates movies, sometimes writes about them (for Film, Dwutygodnik, Filmweb, HIRO, and other Polish film magazines and websites), and constantly discusses them – also with kids, as part of New Horizons Festival, Polish Film Institute and Filmoteka Szkolna film education programmes. Co-host of Weekendowy Magazyn Filmowy on Polish national TV – recently awarded as the best film program in Poland by Polish Film Institute. 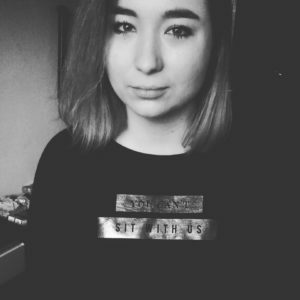 In 2015 launched Hashtag Warsztat – her YouTube vlog devoted to pop culture and movies. Likes graphic novels, plastic jewelry and… Nicholas Cage. He’s begun as independent, off-filmmaker. His film “Marco P. and thefts” conquer lot of independent film festival. He studied on Film School in Lodz and Wajda School in Warsaw. For his mainstream debut “The Girl from the Wardrobe” he received Polish Film Award “Orzeł” – Discovery of the Year 2014. Polish film director and screenwriter with strong connections to Wrocław. Author of works such as “Suspended” (1986), “Dismissed from life” (1992), “Little Moscow” (2008) and “The Photographer” (2014). Awarded at many festivals including International Film Festival in San Sebastian, International Film Festival in Moscow and Gdynia Film Festival. 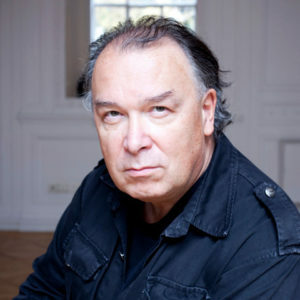 Polish film, tv and theatre director, screenwriter, founder of the Polish Filmmakers Society. 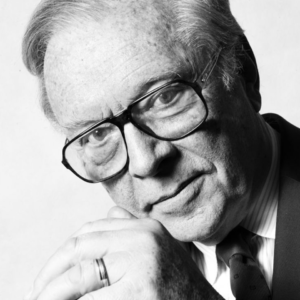 Author of film trilogy “Salt of the black earth” (1969), “Pearl in the crown” (1971), “The beads of one rosary” (1979), for which he received the Grand Prix and the Polish Film Festival in 1980. In 2010 he became an honorary resident of Katowice. PhD in social studies, gender studies sociologist, author of „Gay (non) masculinities. Gender norms and the identity strategies of gay men”. Curator of social projects at the Contemporary Museum of Wrocław, debates and social actions at Survival Art Review. Teaches socio-cultural animation. Comes from Gdansk, which is something not to dismiss! 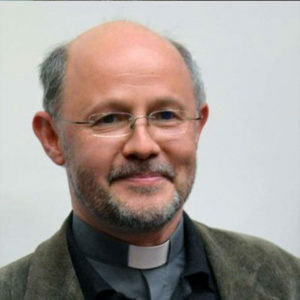 Professor of the Theological Faculty of Opole University. Author of publications concerning theological meaning of the cinema: Audiowizualny przekład Biblii. Od translatio do transmediatio [Audiovisual Translation of the Bible. From Translatio to Transmediatio] (Opole 2002), 100 filmów biblijnych [100 Biblical Films] (Kraków 2005), Figury Chrystusa w “Dekalogu” Krzysztofa Kieślowskiego [Christ-figures in ‘The Decalogue’ by Krzysztof Kieślowski] (Opole 2007, 2013), Krzysztof Zanussi. Przewodnik teologiczny [Krzysztof Zanussi. A theological guide] (Opole 2015). Editor of Światowa encyklopedia filmu religijnego [World Encyclopedia of the Religious Film] (Kraków 2007), Cinematic Transformations of the Gospel (ed., Opole 2013), Kieślowski czyta Dekalog [Kieślowski Reads the Decalogue] (Opole 2014). Member of the Ecumenical Juries in Cannes, Fribourg, Warsaw, Yerevan. PhD in arts, graduated from film studies and journalism at Jagiellonian Uniwersity. Between 2008-2012 he was the head of the Film Production Department at the Polish Film Institute. He currently works for the Polish Television (TV and Production Agency). 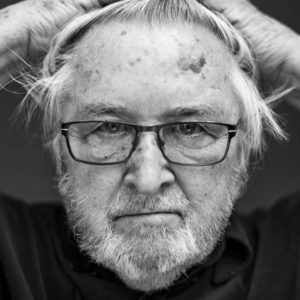 He was a professor at many 3rd level institutions (Jagiellonian University, Warsaw Film School, Silesian University, National Film School in Łódź) where he taught film history, film critique, interpersonal communication and organisation of film production. Majer is a member of Polish Communication Association and Polish Filmmakers Association. In 2014 his book „The Cinema of Juliusz Machulski” was published. Director, scriptwriter and film producer, poet, writer and painter, as well as theatre and opera director. 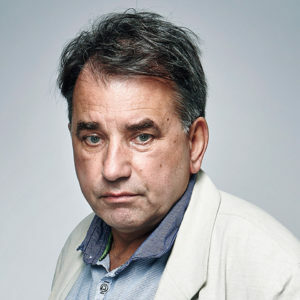 Member of the Directors Guild of the American and European Film Academy, author of such films as Basquiat (1996, script), Wojaczek (1999, award for directing in Gdynia), The Garden of Earthly Delights (2003) and other titles presented at film festivals in Cannes, Venice, Berlin, Toronto, Rome and Rio de Janeiro. His videoart series Blood of a Poet and Bruegel Suite were shown at the Venice Biennale. In 2011, the premiere of his film The Mill and the Cross took place in Louvre, and in 2006 the Museum of Modern Art in New York honored his individual works with a retrospective. Film and art critic, political columnist and philosopher. Co-author of many book concerning movies (Story of Sin. Surrealism in Polish cinema) and social and political philosophy (L’idée du communisme II). He writes mainly for Dziennik Opinii, liberal on-line journal of opinion. Educated at the Jagiellonian University [MA] in cultural studies; PhD in media studies. Research areas: British cultural studies, critical theory, posthumanities. Fellowships, research projects and study visits: Universiteit Antwerpen, King’s College London, New York University, Goldsmiths, University of London. film critic and scholar based in Poland. In 2012, he has been named the Critic of the Year by the Polish Film Institute. 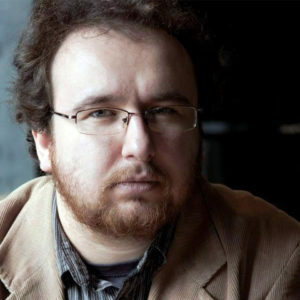 His work has appeared in numerous Polish outlets, as well as on American websites such as „Fandor”, „The House Next Door” and „Hammer to Nail”. Oleszczyk wrote the first Polish book on the films of Terence Davies and has published a translation of James L. Hoberman and Jonathan Rosenbaum’s „Midnight Movies”. 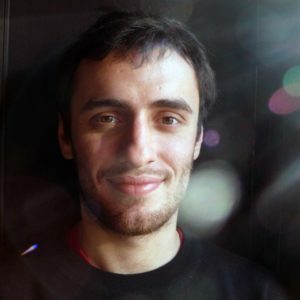 After having defended a PhD thesis on the work of Pauline Kael, he has taught film at Polish universities, as well as worked as a programmer for Off Plus Camera International Film Festival. From 2014 Head of Gdynia Film Festival. Polak was born in 1990. She’s Polish actress of theathre, film and television. Graduate of the Theatre Academy. Lead actress in „Hardkor Disko”. Also known from the film „Warsaw 44” by Jan Komasa and „Citizen” by Jerzy Stuhr. The author of „Themersons. Biographical Essay”. Her book „Thirteenth Month. Movies of Quay Brothers” was edited together with Kuba Mikurda, „Let’s change it all” about children’s street protests together with Katarzyna Roj. She holds MA in art history and performance studies. As a Fulbright grant holder she has studied at New York University, Tisch School of the Arts under Prof. Richard Schechners tutorial. Currently she hosts weekly TV programme concerning art (WOK SZTUKA) and teaches in frames of New Horizons of Cinema at Kino Muranów. 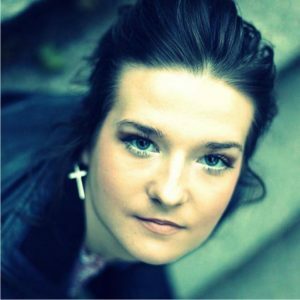 Frequently working with Nowy Teatr she conducted the New Cinema Club and curates “Do It Yourself” project about artistic education. 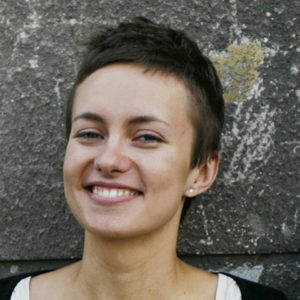 Her articles and essays have been contributed for „Dwutygodnik.com”, „Kuluraliberalna.pl”, „Kino”, „Film” and Polish art magazines. Born in Wroclaw, works and lives in Warsaw. journalist and film critic, currently working for „Newsweek”. She also wrote for „Kino” and „Film” monthly magazines. Winner of the Polish Film Institute awards in 2015 in the „film critic” category. A co-author of „Polish Cinema Now! Focus on Contemporary Polish Cinema” (Adam Mickiewicz Institute) and „Chełmska 21” (WFDiF) devoted to Polish documentaries. Polish director and screenwriter. His films, such as “Custody” (1983), “The Stalking Season” (1985), “The Touched” (1988), “Stranger Must Fly” (1993), “Immensity of Justice” (2006) or “The Winner” (2011) has received a number of awards. Born in Wrocław, graduated in mathematics, began as a film journalist to eventually become a film director. Ph.D. student at the Institute of Polish Culture, University of Warsaw. 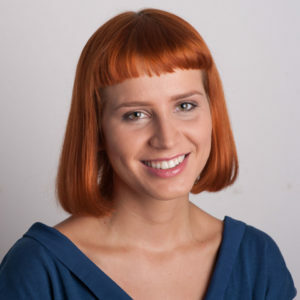 She has published in academic journals („Dialog” „Kultura Współczesna”). Co-author of a series of books: Ceglane ciało, gorący oddech. Warszawa Leopolda Tyrmanda [‘A Brick Body, A Hot Breath. Leopold Tyrmand’s Warsaw’] (2015), Sto metrów asfaltu. Warszawa Marka Hłaski [‘One Hundred Meters of Asphalt. Marek Hłasko’s Warsaw’] (2016) and Ułamek błękitu i chmur. Warszawa Tadeusza Konwickiego [‘A Fraction of Blue And Clouds. Tadeusz Konwicki’s Warsaw’] (2017), all three about representations of urban life practices in the poetry and prose of the authors mentioned above. Also co-author in collective volumes: Ślady Holokaustu w imaginarium kultury polskiej [‘Traces of the Holocaust in the imagery of Polish culture’] (2017). 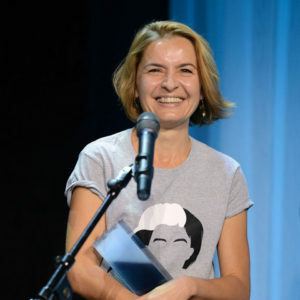 She was awarded Third Prize in the Krzysztof Mętrak Prize (2018) for young film critics. The educator and social skills improvement and development projects trainer. 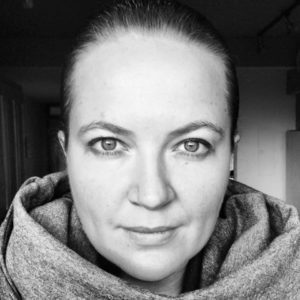 She works with Centre for Social Development in Wroclaw, Dom Pokoju Foundation, Children’s Hospice in Wroclaw, Paliwo Artystyczne Foundation and Go & Act. 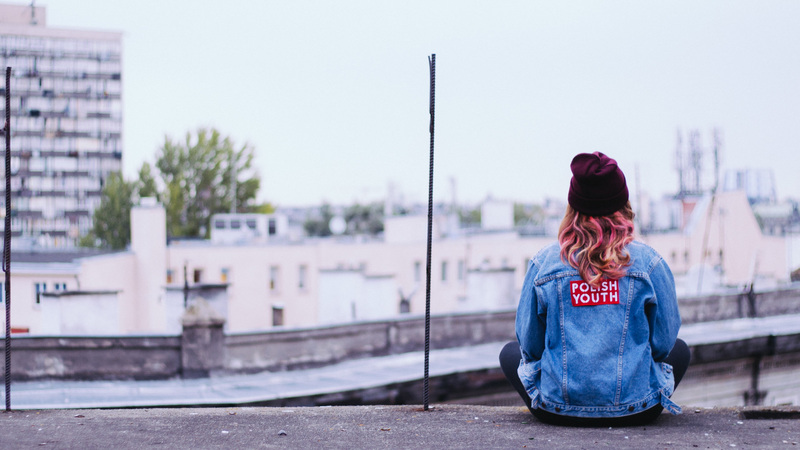 Organiser of workshops for kids and teachers focusing on the topic of bullying and cyber bullying, peer mediations, conflict management classes and multiculturalism. Film educator (Nowe Horyzonty Film Education, Kids Cinema, Cinema- School- Culture, Family Mornings), Certified Teacher of Philip Zimbardo Heroic Imagination Project. 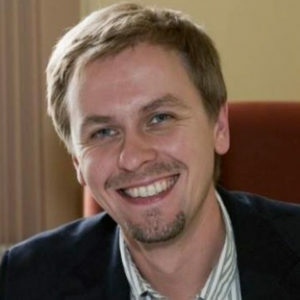 PhD., an assistant professor at the Institute of Polish and Cultural Studies, University of Szczecin. Researcher of women’s cinema in Poland and Middle-Eastern Europe. Author of books about Polish female film directors, such as Wanda Jakubowska and Barbara Sass. For her book “Biały Mazur. Women’s cinema in Polish cinematography” (Poznań 2013) she received the Polish Film Institute Award in 2014. Lecturer in Polish Film Academy and New Horizons of Film Education. Feminist, art and women’s cinema enthusiast. 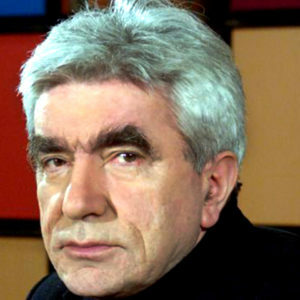 Polish film director, screenwriter and producer. 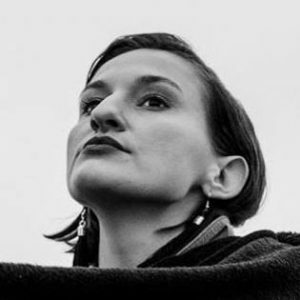 A member of the European Film Academy, she has studied journalism, cultural anthropology and photography in Warsaw and Copenhagen. 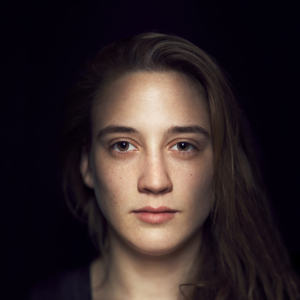 Her 2016 debut feature film „Communion” received numerous national and international awards including the European Film Award for Best European Documentary 2017, the Critic’s Week Award at Locarno IFF, The Robert and Frances Flaherty Prize at Yamagata IDFF and the Grand Prix at Warsaw Film Festival amongst others. Born in 1939 in Warsaw, Poland. Documentary and feature film director. Studied physics at Warsaw University and philosophy at Jagiellonian University in Cracow. Graduated from Lodz Film Academy in 1966. Amateur film maker. His school diploma film ‚Death of a Provincial’ (Smierc prowincjala (1968)) won an awards in Venice, Mannheim, Valladolid and Moscow in 1967. Other early films made for TV include: ‚Next Door’ (Za sciana (1971)), Grand Prix in San Remo; ‚Hypothesis’ (Hipoteza (1973)). Scriptwriter or co-writer of all of his TV and cinema films. Other early feature films: ‚Structure of a Crystal’ (Struktura krysztalu (1969)), which won in Mar del Plata 1970; ‚Family Life’ (Życie rodzinne (1971)), which won in Chicago 1971, Valladolid 1972 and Colombo 1973; ‚Illumination’ (Iluminacja (1973)), Grand Prix in Locarno 1973, award in Gdansk 1974; ‚Quarterly Balance’ (Bilans kwartalny (1975)); ‚Camouflage’ (Barwy ochronne (1977)), Spiral (Spirala (1978)).